Welcome to Pro Wellness Chiro Med Center! Welcome to the Pro Wellness Chiro Med Center website the office of Michelle Fuselier, M.D. and Gary Davis, D.C., MUAC. 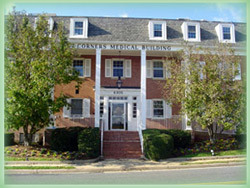 The office is located in Falls Church, the leading health professionals at Pro Wellness Chiro Med Center are dedicated to helping you achieve your wellness objectives -- combining skill and expertise that spans the entire medical and chiropractic spectrum. Prowellness Chiro-Med Center is a multispecialty office with medical, chiropractic and massage services. This office is dedicated to giving you the best care possible and to get you on the road to good health in an efficient and thorough manner by teaching and practicing the true principles of health and wellness. Contact Us today and experience the Pro Wellness Chiro Med Center difference! With many years of training and education under our belt we have treated many different conditions. We have had stunning success with our patient members seeking treatment assuring only the finest quality care and a genuine concern for your well-being. If you are new to our website, please feel free to discover and learn about how we can help you wellness. If you are interested in starting your journey towards wellness please subscribe to our award winning newsletter. If you are already a newsletter subscriber, please explore the member wellness section of our website for wellness articles, resources, and health facts--specifically targeted to your wellness needs and interests. Sign-up using the form or call us at 703-533-5555 to learn about our exclusive offers.